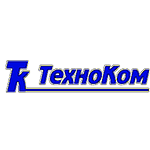 TechnoKom is a Russian company specialized in electronics and software development and manufacture. The company was founded in Russian Federation in 1993. Nowadays the company partners with more than 200 dealers in Russia and abroad, having a diverse branch and service center network. TechnoKom focuses on the manufacturing of navigation equipment for cargo vehicles, various types of sensors and supplementary equipment. The chart below shows the changes within the last 30 days in the number units of TechnoKom devices type are connected to Wialon Data Center.